PLEASE NOTE: We are currently booking new baby classes in Lower Beeding Monday to Friday. New Beginner lessons for 3 1/2 year olds + on Saturdays in Lindfield with Brilliant Brad! 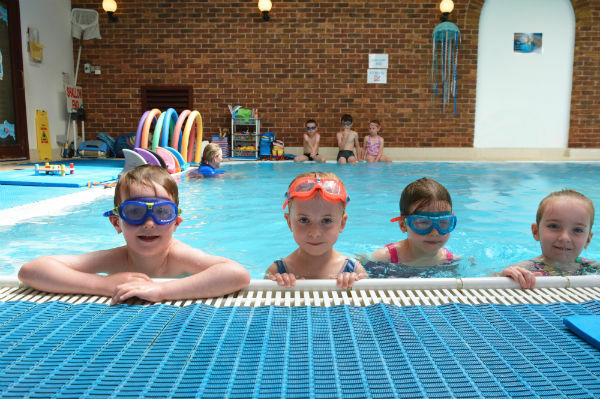 THE SUSSEX SWIM SCHOOL was formed in 2004 to provide exciting, fun, structured and progressive swimming lessons in clean, warm, safe, pool environments. 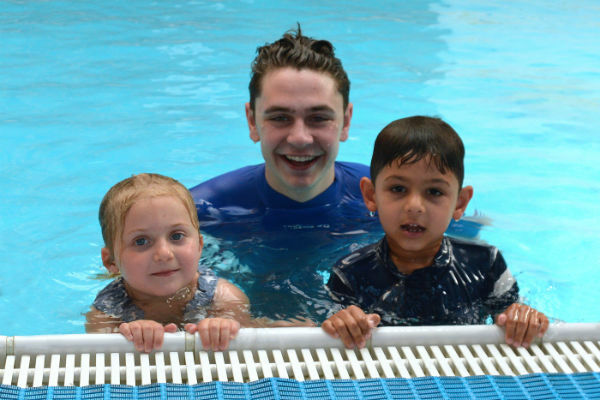 With only 6 pupils in each class, we ensure we provide each and every pupil with personal tuition they require to progress in their swimming lessons. Each of our pupils are continually assessed. When they have achieved all of the criteria set out by the Swim England National Teaching Plan, they are awarded with a certificate and cloth badge and moved to the next staged class, where appropriate. In October 2014 Swim England awarded The Sussex Swim School with “The Best Swim School in The United Kingdom” Silver Award. We are very proud to have achieved this award and my heartfelt thanks goes to my fantastic team of swimming teachers. If a pupil is placed in cold pool water they will find it difficult to be open to learn how to swim. 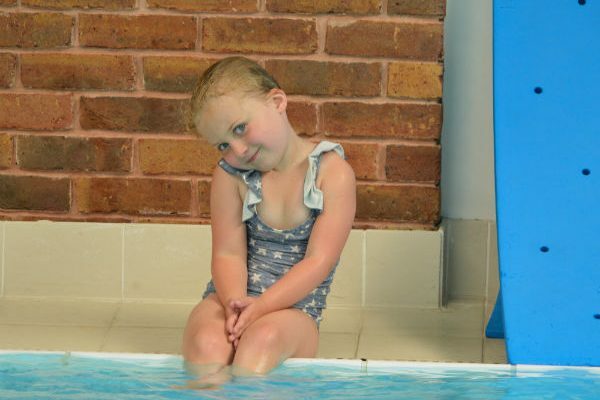 It is important for a pupil to be warm, comfortable and relaxed in order to learn to swim. We understand children so well, and make sure our lessons are fun, progressive, and exciting, taking each pupils individual needs into consideration. All of our pools are warm, clean and welcoming. All of our teachers are fully qualified Swim England Swimming Teachers with many years of experience. Our combined swimming teaching history is 200 years. We believe we have found two perfect swimming venues at Beedinglee in Lower Beeding and Great Walstead School pool in Lindfield. 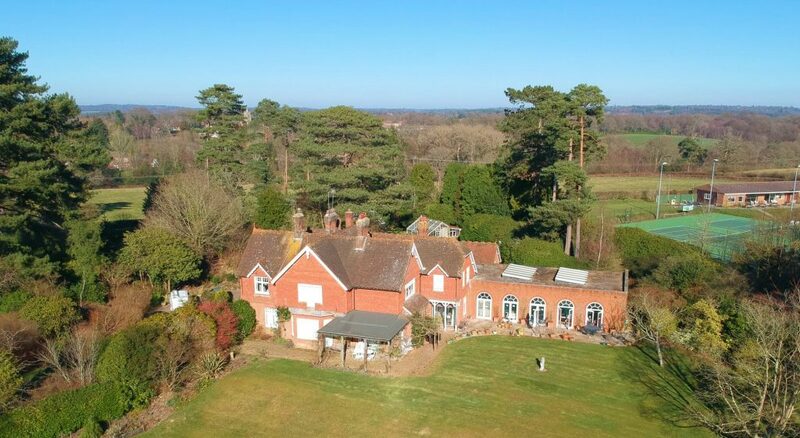 Beedinglee, Brighton Road, Lower Beeding, West Sussex, RH13 6NQ. The pool is beautiful, warm, clean, private and peaceful. The water is kept at a warm 31.9 degrees and is ozone chlorinated, which means it is crystal clear and does not affect the eyes like pure chlorine, and is safe for pupils with skin conditions like eczema. The pool is 12 metres long by 5 metres wide. Graduating from 0.8 metres to 2.5 metres, so perfect for teaching diving. 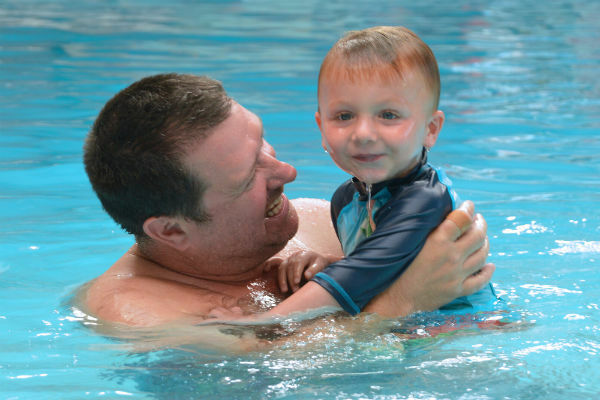 We teach babies from 3 months up to stage 7 of Swim England’s National Teaching Plan at Beedinglee Pool. As the pool has a diving pit in the deep end, we are able to teach our pupils how to dive safely. The changing area is communal (with a screened area for Dads on poolside), toilet and shower facilities. There are two play pens on poolside, and comfy Lloyd Loom settees and chairs for spectators. Toys & books are supplied for siblings. With only one class running at a time, and a maximum of six pupils in a class, our pupils receive the individual attention they require. Our lessons run Monday to Saturday between 09.00 and 1pm for pre-school pupils, and 3.45 to 6.45 for school aged pupils. A half term of six weeks is £72.00. Great Walstead School Pool, East Mascalls Lane, Lindfield, West Sussex, RH16 2QL. The pool at Great Walstead is 15 metres by 8 metres. We accept children from 3 year old beginners up to competition level, and beyond. We have two lessons running simultaneously. We keep to our maximum of six pupils in each class. Our lessons at Great Walstead run all day on Saturdays mornings from 08.00 to 4pm. A twelve week full term is £120.00. If you have a lovely warm, indoor, private pool or know of someone who does and would be interested in hiring the pool to us then please do contact us. The Sussex Swim School was founded in 2004 and is a small family run business. We believe in providing the very best swimming tuition within a safe, warm, clean, friendly, fun, progressive environment. We aim to provide efficient, effective, friendly administration service to all our customers.